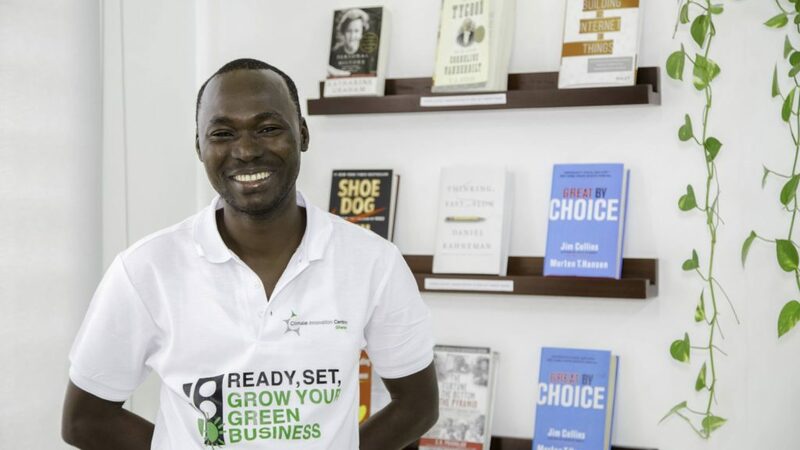 Lincoln Winimi Peedah is a serial entrepreneur and the Chief Executive Officer of Neat Meat Limited, located in Zebilla -Upper East Region of Ghana. He holds a master’s degree in Business Planning and Microfinance Management from the University for Development Studies, Tamale-Ghana. Lincoln is a 2016 Mandela Washington fellow and also secured a grant on YALI Entrepreneurship programme by the United States African Development Foundation (USADF) to help improve the processing phase of local poultry (Guinea Fowl), provide reliable market as well as a sustainable livelihood for over 3,000 farmers in Ghana. Neat Meat Company Ltd is a local poultry and livestock processing and packaging factory established in July 2014. The company produces fresh and smoked livestock, local poultry meat and provides other services within the meat market. Neat Meat innovatively converts waste products from its operations to produce maggots, a cheap and nutritious feed for local poultry suppliers. This initiative protects the environment by helping reduce farmers’ dependence on termites, which are useful in maintaining soil fertility, as feed. Neat Meat is committed to providing responsible products and procurement, resource efficiency and climate protection.